The Sonnenalp Hotel has long been named as one of the top, luxury hotels and resorts in the U.S. If you have plans to attend this year’s 28th Annual Vail International Dance Festival in Vail, Colorado – be sure to stay at the Sonnenalp Hotel. The dance festival will be held between July 30, 2016 and August 13, 2016. Each year during summer, the iconic town of Vail hosts the finest dancers in the world. More than just a basic dance festival, the Vail International Dance Festival is truly a celebration of dance. It’s a VIP experience that should not be missed. 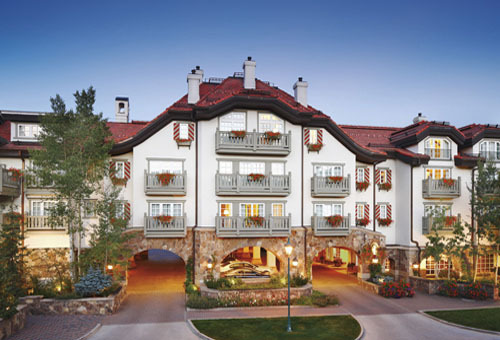 Enjoy everything Vail Village has to offer and stay at the luxury Sonnenalp Hotel. They hare now offering a terrific travel package to coincide with the Vail International Dance Festival. It’s just $299 per night for a luxurious suite that measures almost 500 square feet in size. The suite also features an incredible bathroom and romantic gas, log fireplace. In addition, the lodging package includes a $18 reduced rate for valet parking, 15% off all of the hotel’s spa services, plus complimentary basic WiFi. The perfect way to stay connected while you are away from home. The Artistic Director of the Vail International Dance Festival is Damian Woetzel. He was a former, New York City Ballet star. This year marks the 10th anniversary of Mr. Woetzel in the role of the Artistic Director. This year has a great line-up of amazing performances. It’s an ideal way to see many of the world’s finest dancers. It’s expected that around twenty thousand people will attend the dancing event. Attendees come from all around the world. Known for world-class winter skiing, Vail, Colorado comes alive each summer for this must-see, cultural event. This season, event attendees can look forward to seeing Isabella Boylston as Artist-in-Residence. In addition, Company-in-Residence BalletX, Dorrance Dance, Dance Theatre of Harlem and Paul Taylor’s American Modern Dance will also be performing. So make plans now to stay in Vail village and enjoy the culturally-rich environment. Whether you are a dance aficionado or a newbie wanting to check it out for the first time, it should be a magical time in the Rocky Mountains. Contact us for assistance in booking your travel reservation to attend the Vail International Dance Festival in Vail. Stay in VIP stle at the luxury Sonnenalp Hotel. Come back again to follow our luxury blog. Read about other top, luxury travel destinations and upcoming cultural events.